The Adventurethon Demolish Stage Race will run over two days on May 25 and 26 and includes three stages: downhill paddle, trail run and mountain bike course. 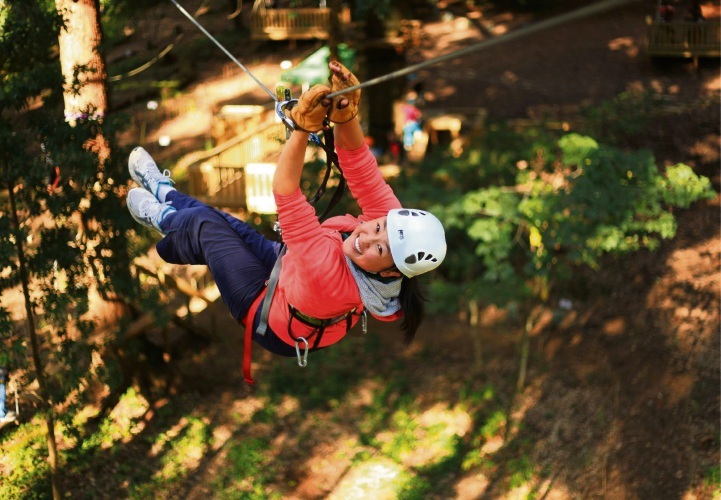 As an added bonus for competitors, a high ropes obstacle course at Trees Adventure has been added to the adventure run stage, the first time this fun and unique element has been offered as part of an Adventurethon race. The event is supported by Mandurah and Peel Tourism Organisation, the Shire of Murray and the State Government’s Royalties for Regions Program, administered by Peel Development Commission. MAPTO acting chief executive Anita Kane said Adventurethon would not only bring visitors to the area, but also showcase its beauty. “Dwellingup is a beautiful part of our region and this course will highlight the magnificent jarrah forest, Lane Poole Reserve, Marrinup Loop and more,” she said. Adventurethon event director Joel Savage said the addition of the high ropes obstacle course would add a spike of adrenalin before the finish and sharpen up the competition. “Events give people a time-critical reason to visit us and help put our region on the map,” she said.